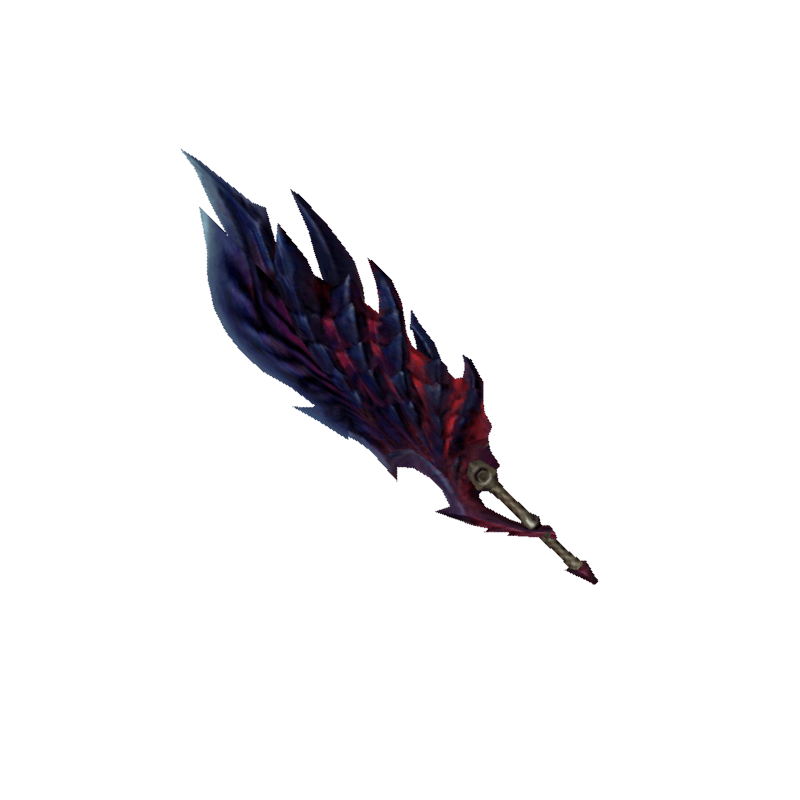 A Great Sword based on the Glavenus's tail. Slices up prey like nothing else. / When the Scorching Blazer's final form burns a path through battle, only ash remains.